Can we sing it daily…. Can we sing “Jana Gana Mana ….” our National Anthem daily? As all knows it is composed and scored by Nobel laureate Rabindranath Tagore. Singing and/or listening to it gives adrenaline rush in oneself. Atleast I get the same feeling whenever I sing or hear it. Now-a-days I hardly get a chance to sing or hear it. It is only when I go to watch any movie in a cinema theater or during the start of any sports match where Indian team is a part of it. I miss my school days where we use to sing our National Anthem daily before the start of the day (as a part of the rituals followed by prayers). It use to give positive vibes in me and I use to get fully charged up. The same continues till date. Yesterday was one of them when I got a chance to sing our National Anthem twice; first in the morning during flag hoisting ceremony in our society compound and second time in the evening when I went to watch movie. Well I actually feel and it’s my personal feeling that all offices in our country should play or rather all the employees can sing our National Anthem daily before the start of our day at work; same like what we use to do during our school days. I feel that singing or atleast hearing the same will remind us of our duties and responsibilities towards our country. We will start getting a feeling for working towards the development of our country along with our self-development. I hope our current PM implements singing of National Anthem in all government offices compulsory depicting a clear example for his love towards our country. Again this is my feeling that, daily making oneself reminding of his rights for country will help in reducing the corruption level too. Our National Anthem is wonderfully composed. It covers each and every part of our country and it says we can be victorious if we all are united. 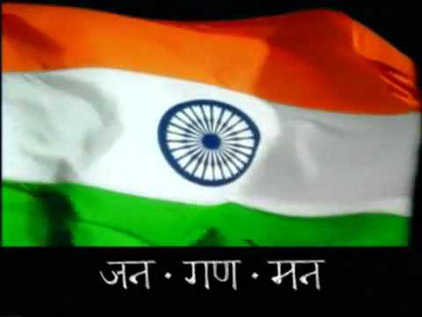 Below is a beautiful video which explains the full meaning our National Anthem. This entry was posted in Uncategorized and tagged India, Jana Gana Mana..., National Anthem, Rabindranath Tagore on January 27, 2015 by hemangfans. Yesterday night I went to pick up one of my best buddy from new T2 airport in Mumbai. He was coming from US after a gap of almost 2 years. It was my first visit to the T2 terminal the new one which is much talked about by all Mumbaikars. Indeed entering the vicinity of the airport made me feel like I am in some other world. It is nicely made and well maintained. Feel proud of this so-called world-class-make-over of Mumbai International airport terminal. I am not writing this post to promote the new airport terminal nor am I paid for appreciating it, so I end this over here. Back to track again. My friend’s father wanted to accompany me to pick up his son from airport. Uncle called me in the morning and said “I would like to join you to pick up my son”. I said “No problem uncle. I will meet you in the evening.” and decided a point to meet. I have a big car and can easily manage 3 of us with luggage while returning back. “Yes no worries” was my prompt response. My friend’s building is situated little inside the main road. Uncle got in the car and I noticed that he had his sweater put on and muffler round his neck. I again asked him “Uncle if you are unwell, you can rest at home. I can go alone and pickup my friend”. To this he immediately replied “No, its ok, I will manage and I have promised my son that I will come personally to pick him” and I could see the glow in his eyes. I felt confidence in his voice too. Parents always like to have their kids around them. They always feel high and confident by their presence around them. Yesterday I noticed the same in my friend’s dad. His son was coming after almost 2 years and his eagerness to see him made him forget all his worries and illness. Although technology has helped to see each other even when you are miles apart but seeing personally is way beyond description. I also was having the similar feeling. Seeing my best buddy after a long time makes me nostalgic. While at the waiting area, my mind went through the past days, me and my friend had spent together. And in-between, twice uncle said “here he comes, wait … no … he is not that one”. This is bound to happen when one is so desperately waiting for someone than that person can feel and see his/her face in all others. I also have personally felt it many times and I am sure you all also must have at some point of time. I also went through the same feeling. Few years back I was away from my home in US for around 5 months and my returning back home ignited full energy in everyone. I clearly remember my daughter hugged me tight and was not ready to leave me at all. She was with me all through the way home till the time she went to sleep. It does not matter how much we grow but we always remain kids for our parents. Their love and affection never reduces. Even my parents, especially my dad, till date wait for me incase myself and/or my brother are out for party and will be reaching late home. He will only have a peaceful sleep once I and/or my brother are back to home. The same goes with me too. Even though my daughter is small, but I get impatient if her school bus comes late by few minutes. Such is the true and selfless love between parents and kids. This entry was posted in Uncategorized and tagged affection, bonding, kids, Love, parents on January 23, 2015 by hemangfans. Language of schooling … does it matter?? First day, first lecture, professor enters the classroom and is warmly greeted by the students. “Who all are from vernacular, please raise your hand” was his first question. I clearly recollect this one of an incident in our college about 22 years back. Though I am not able to recollect the subject he use to teach us in college but I clearly remember the above question. I have to accept the fact that on that day, the very moment I felt proud to have cleared my school from a convent medium and was happy that I was not among those who were forced to raise their hands. Well, 2 decades back there were less of convent schools as compare to other language medium. But looking back today I feel disgusting on why such discrimination in medium of study did existed. I do not understand as to what made that professor ask such question? Did it really made any difference in his career of teaching to a vernacular visa vis a convent student. Did he want to show the vernacular students that they will be left out from the college curriculum incase they don’t speak English. I was lucky to find bunch of new friends in my early college days out of which couple of my friends have done their schooling from Gujarati medium school. Till date also I feel happy to have all of them in my life and feel proud that all of them specially the friends from the Gujarati medium school are working and placed at very high-profile in good reputed company. Nothing stopped them from achieving such great heights. The other day I had over heard someone discussing that one of the school in suburbs of Mumbai (actually I don’t want to name the school) still cross checks the qualification of parents before giving admission to young kids. I fail to understand why the need to check parents qualification instead of testing the skills of the young kids. Does the management or the principal think that kids of Doctors or Engineers will always follow their parent’s profession and kids from uneducated parents will end up doing nothing? This is not at all acceptable. I feel we humans have created difference in caste and religion. And we did not stop it here, we even went a step further and started discriminating between our ways of studying and our up-bringing. We are the ones who are responsible for categorizing our fellow human beings. Sorry I went off track :). I feel like meeting that professor once again and proudly show him all my college friend’s business cards and inform him loudly that these are the ones who had raised their hands to his question and are now way ahead in their professional life. I am really proud of all my college friends; NP, PP, CM, BR, SR. Cheers to your hard work!!! This entry was posted in Uncategorized and tagged college, convent, language discrimination, vernacular on January 22, 2015 by hemangfans. The much awaited trip which I was anxiously waiting and had planned from last 4 months was the marking of end of 2014 and welcoming of 2015. To start with, I am thankful to all my friends and their spouse who made this trip a memorable one and this trip will always be cherished through out my life. Planning the whole trip on our own and executing it in a successful way was one of the key point which I feel proud of myself and all my friends. 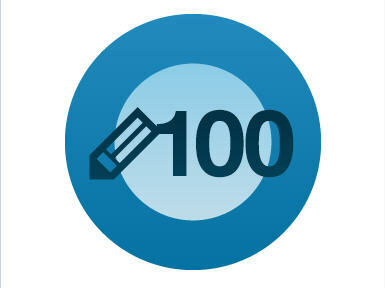 I would like to mention that Tripadvisor was a helping hand in the process of selection of our stay. The amount of hours we spend meeting up and setting things well in advance is worth appreciating. I can never forget all the meet-ups in the evenings to discuss the itenary of the trip. So here I am back home after visiting few of the most beautiful places of South India. This was the first time I have been to Mysore, Coorg, Ooty and Kodaikanal. I know this blog of mine will be bit longer then my usual ones but I can’t restrict myself describing all the places I had been too. Mysore – Also known as “City of Palaces”. The name itself reminds us of History of India, the great “Tipu Sultan”. Main attraction in Mysore is the “Mysore Palace” and the “Mysore Zoo” which is one the oldest and most popular zoo in India and is a home to wide variety of species. Do visit both this places if you are in Mysore. Coorg – Also known as Kodagu. Famous for coffee plantation and is also locally called as “Kashmir of Karnataka”. On the way to Coorg falls one of the largest monastery and home for Lamas known as “Namdroling Monastery” or “The Tibetan Buddhist Golden Temple”. A must stop over and do have a visit. Ooty – Also known as Udhagamandalam or Ootacamund insort Udhagi or Ooty. It’s a popular hill station located in the “Nilgiri Hills”. Ooty is also called “Queen of Hill stations”. Pleasant climate and scent of Nilgiri in the air makes you feel fresh throughout the day. The main attraction is the Heritage train which runs between Ooty and Coonoor. The scenic beauty and the cool breeze makes the one hour journey a pleasant and joyful. Kodaikanal – Also known as “Princess of Hill stations”. Small but lovely place to visit. Although reaching Kodaikanal is bit tiresome due to the hilly region but its worth spending holidays over there. Especially the boating and cycling around the lake is the main attraction. Climate plays a romantic role is most pleasant among all the above places. Ok back to me, the trip has left with me some un-forgetful memories. The almost daily eating of idli, dosa, curd rice (which are my favourite dishes), the late night gossips (gossiping of everyone we can think of, not leaving the politicians too 🙂 ), the 31st Dec night party marking the end of the year, finishing of Double Black, Glenfiddich, Black Label, Black & White and the countless KF cans, the always front seat bus travel (sometime next to the driver too 🙂 ) in the hilly region (which I don’t like at all as I get sensation of nausea), early morning and late night walks with friends & hot coffee cups, the “jugaad” (a work around solution that bend rules) of booking the Heritage train tickets from Ooty to Coonoor & free upgrade to the first class compartment, the different posses for clicking pictures with all, tasting of so many chocolates in many different shops and last but not the least the amount of fun all the kids had together, playing, eating and sleeping all in one room is beyond description. I will do a picture post of selected pictures later on but till then enjoy these…. 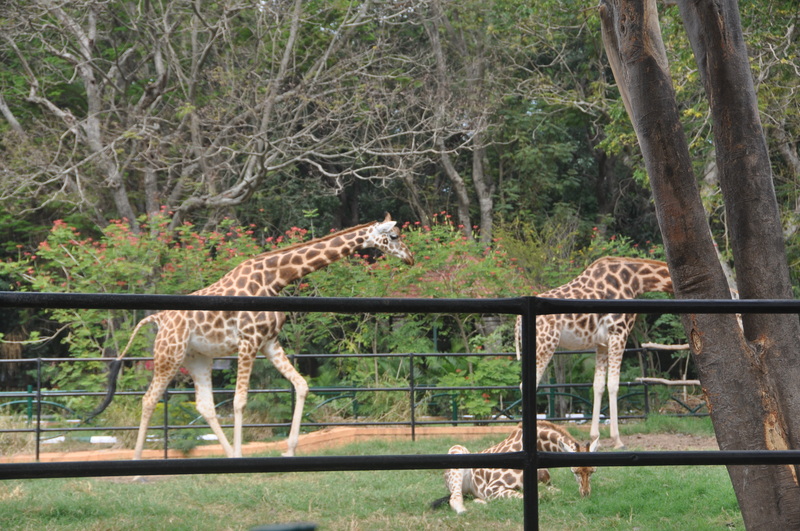 One of the best Zoo in Mysore…. This entry was posted in Uncategorized and tagged Coorg, friends, Kodaikanal, Mysore, Mysore Palace, Ooty, South India on January 9, 2015 by hemangfans.